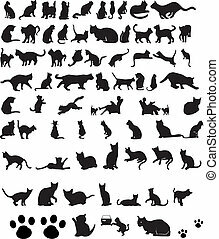 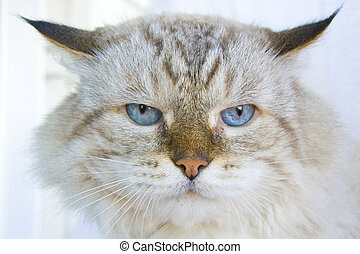 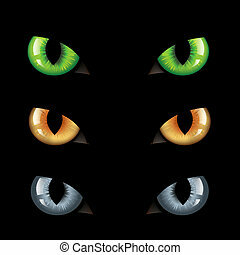 Cats eyes. 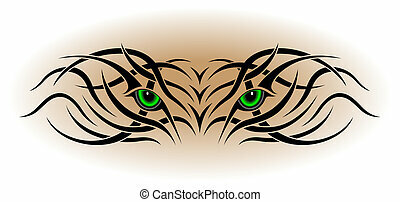 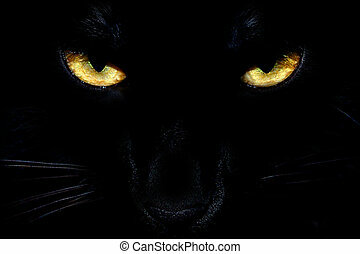 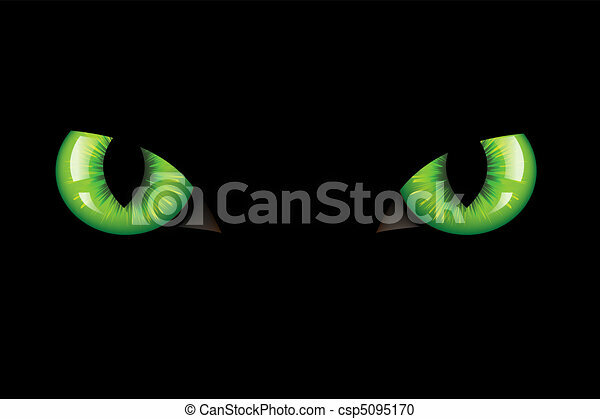 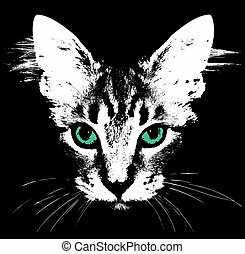 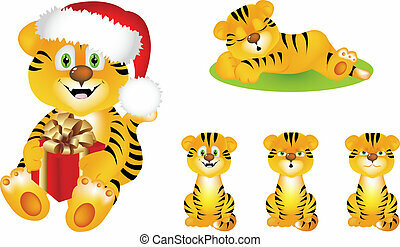 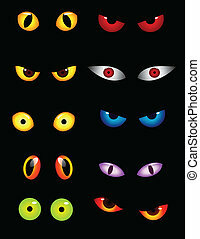 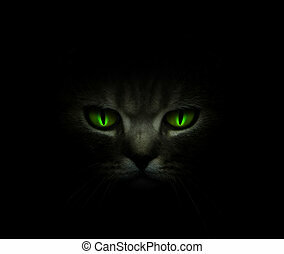 Green dangerous wild cat eyes, on black background, vector illustration. 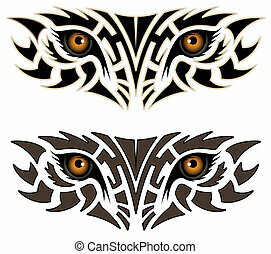 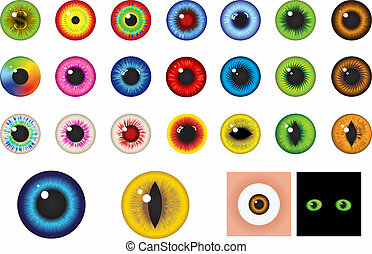 Abstract mystical eyes in tattoo style. 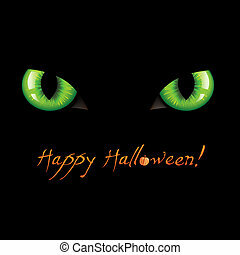 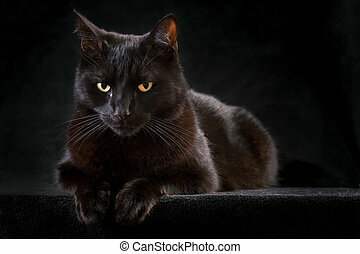 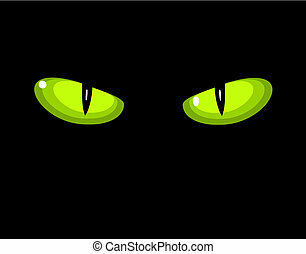 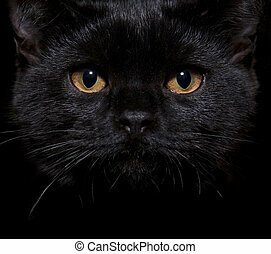 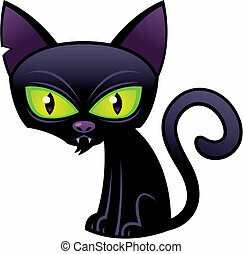 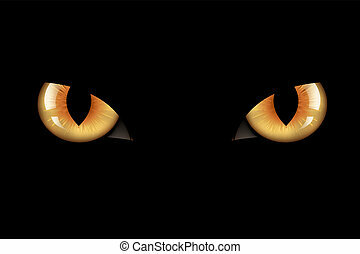 Vector cartoon illustration of a Halloween Black Cat with green eyes.